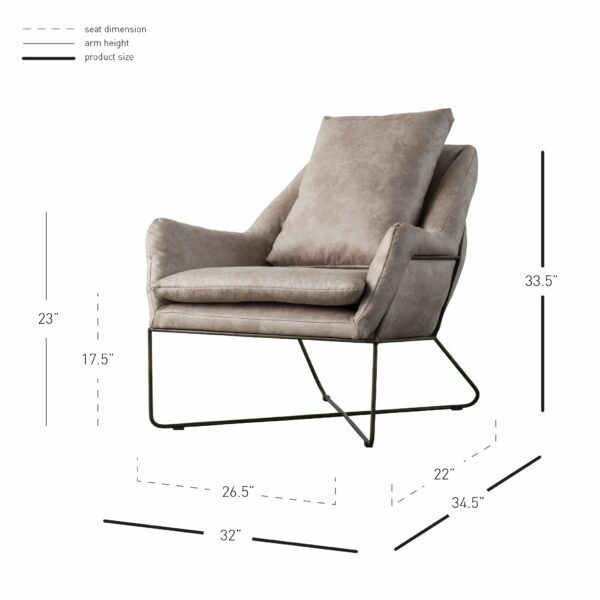 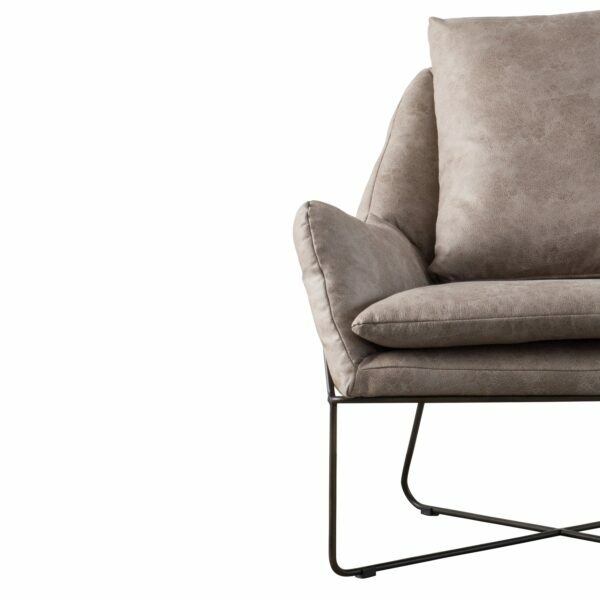 A sturdy, yet airy, metal framework supports generous cushioning to create Sydney, a modern-day lounge chair that nods to European upholstery design. 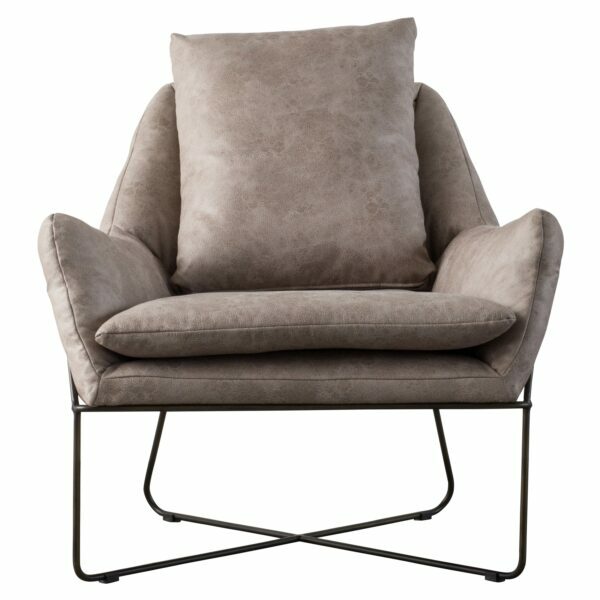 It measures 32 inches wide and 34.5 inches deep, and it’s available in a faux leather cover called Devore Gray. 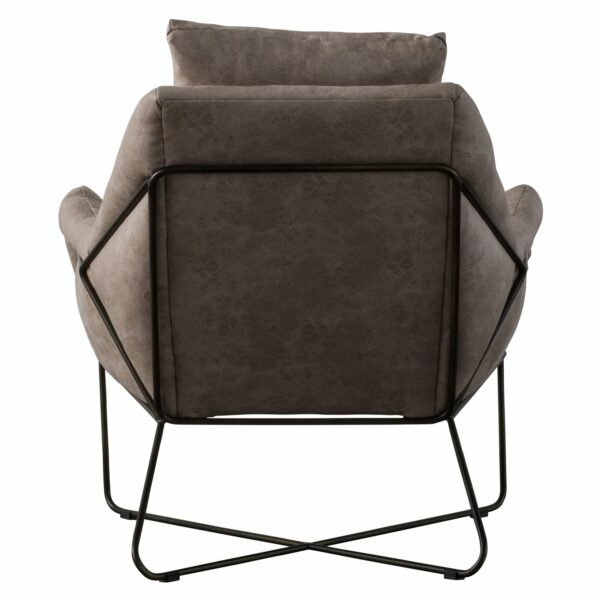 The pillow and seat cushion are removable. 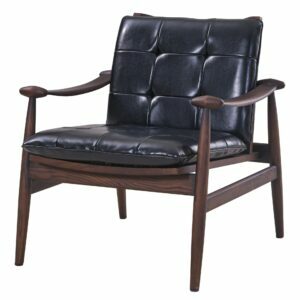 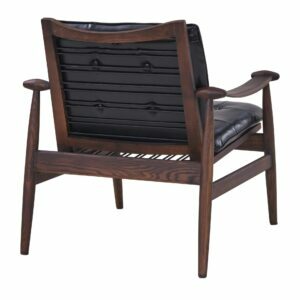 Contemporary arm chair with removable lumbar pillow and seat cushion. 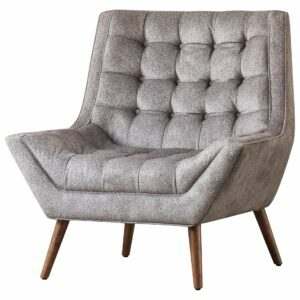 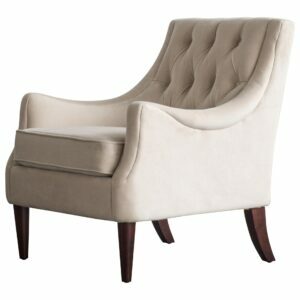 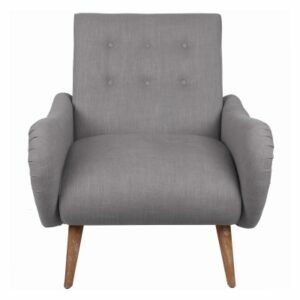 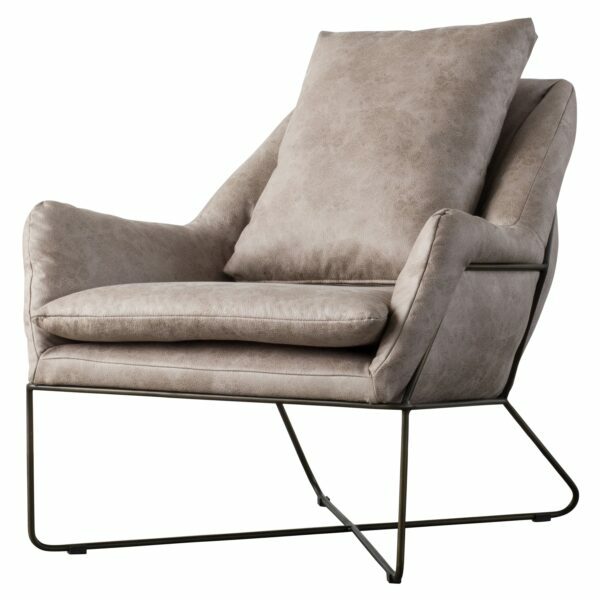 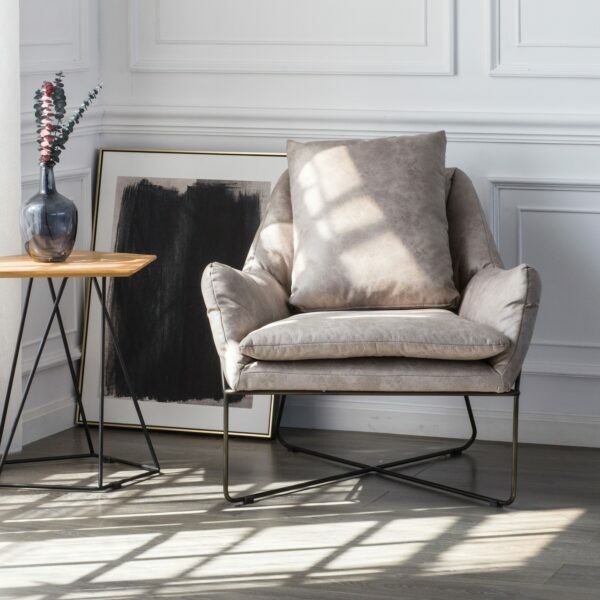 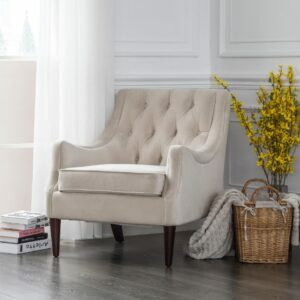 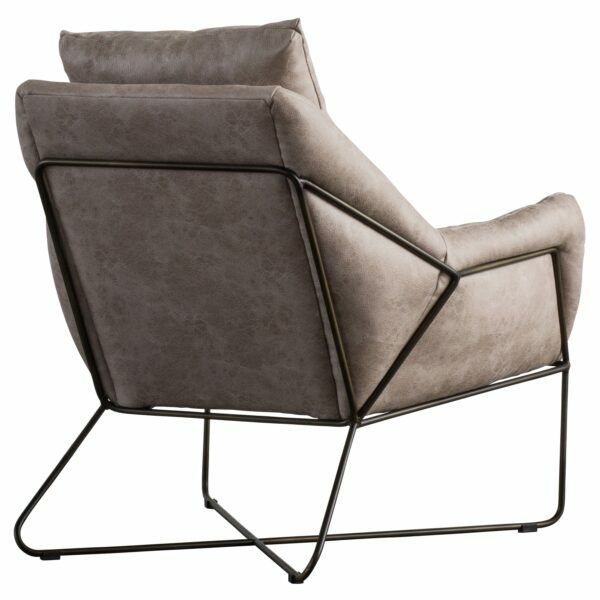 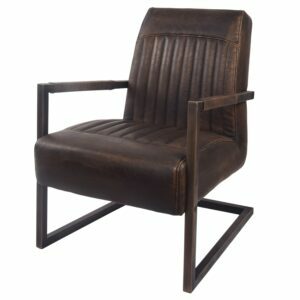 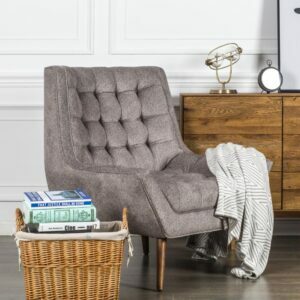 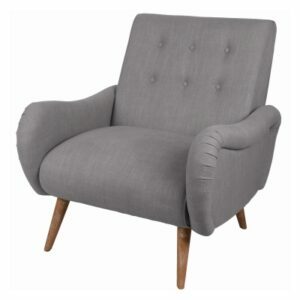 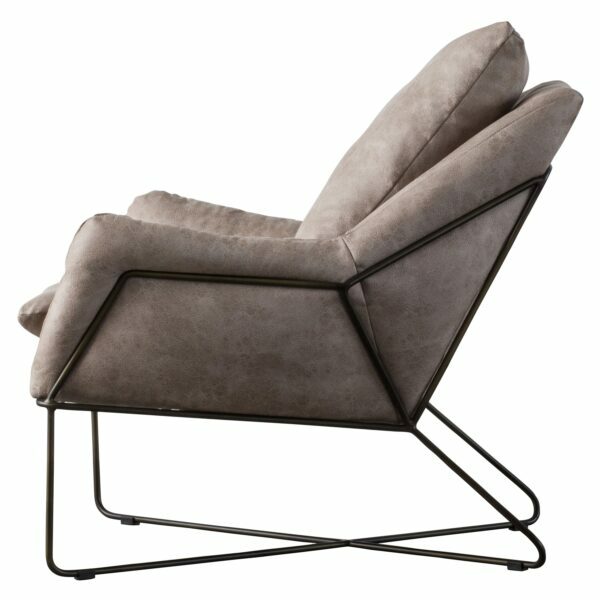 Puffy and generous seating arm chair on sleek and airy leg frame.